One of my favorite events during the Kentucky Derby Festival is the Pegasus Parade. 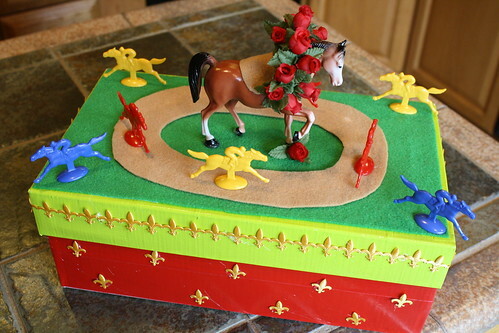 As a school kid, we used to make parade floats out of shoe boxes in art class during Derby week. That is what I am going to show you today! 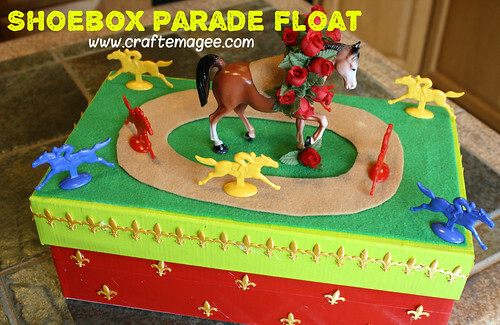 You can make your float with any Derby festival theme, like the steamboat race, hot air balloons, a pegasus or winged horse, etc. I chose to do racehorses with a track and winner's circle. 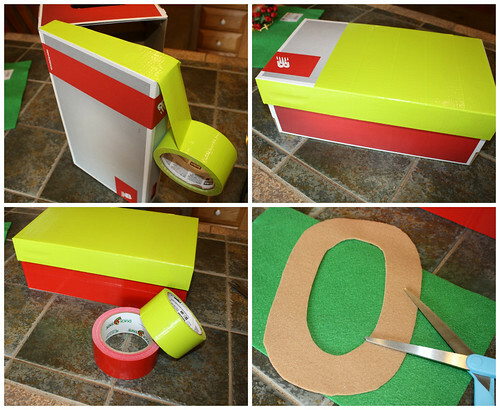 First, use the duck tape to cover up the shoe box. Next, cut the green felt to fit the top of the shoe box, and cut the brown felt in the shape of a race track. 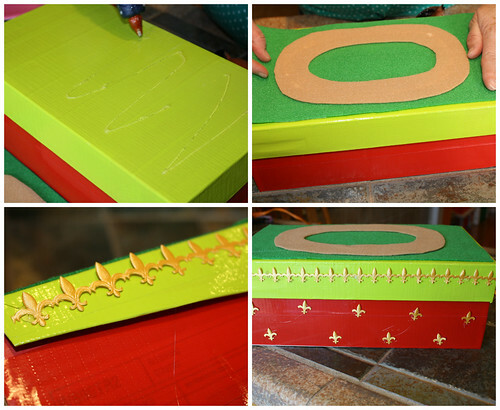 Using glue, secure the track to the green "grass" or felt rectangle, and glue that all down to the top of the shoe box. Hot glue the fleur de lis trim around the edge of the shoe box. I also cut some of the fleur de lis shapes apart and glued them to the front of the float. 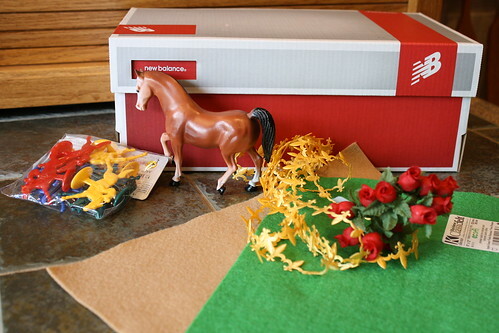 Next, glue the flowers to the horse to create a garland of roses like the winning horse would receive at Churchill Downs (They don't call the KY Derby the "Run for the Roses" for nothing). Then glue the horse inside the track and glue the other plastic horses around the float. You now have a parade float ready for the Pegasus Parade! 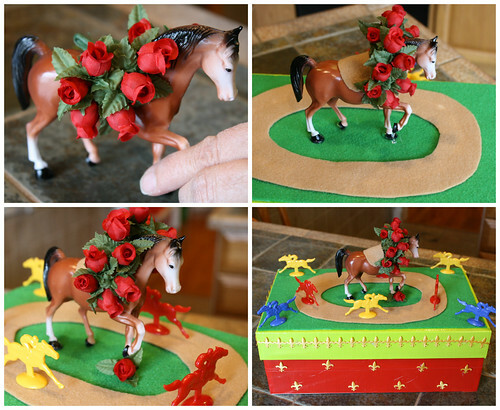 This is a fun craft for any kid to do to celebrate Derby week! Over the weekend in Louisville was the Great Balloon Race and Balloon Glow. Part of the Kentucky Derby Festival every year, the Balloons are a welcome sign of the season. 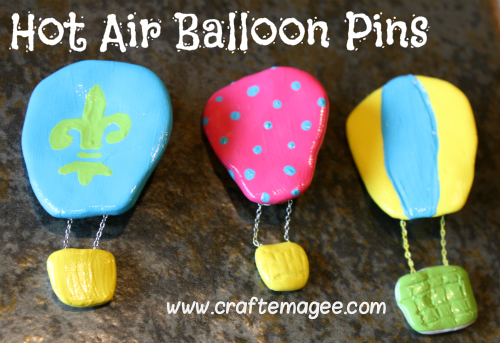 My first Derby week craft is a clay pin balloon, and I will show you how to make one. Open the oven back clay and roll it around in your hands to warm it up. This will make shaping the clay easier. Create a balloon shape and a separate basket shape with the clay. You will attach the balloon piece and basket piece with the necklace chain. 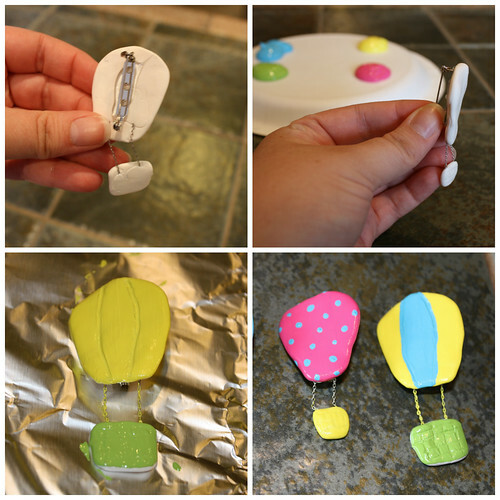 Attach the chain to the backside of the balloon and basket pieces, and add some clay to the top of the chain pieces to secure it. 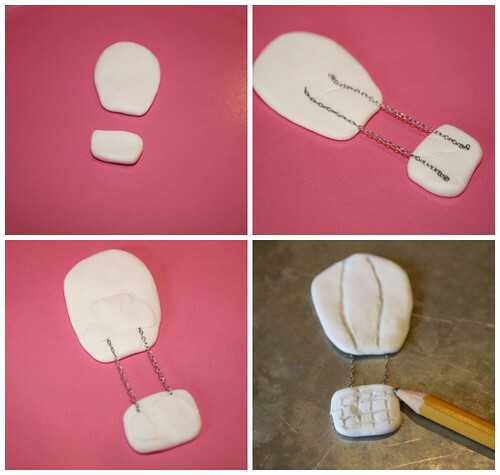 Turn the balloon back to the front side, and you can create some texture or designs on the clay with a pencil point. Be sure to place the balloon pieces onto a baking pan and cook the clay in the oven as directed on the package. Once the clay balloon has cooked and cooled, then secure the pinback to the balloon. You can use any type of glue, but I ended up using hot glue. 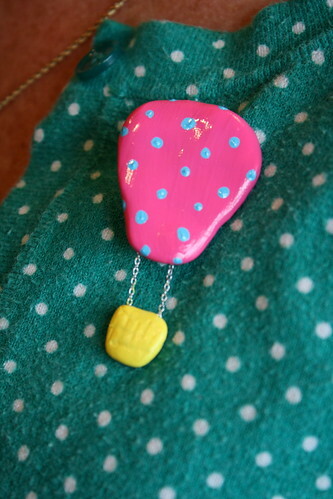 Once the glue on it has dried, you can hold the pinback while painting the clay balloon. 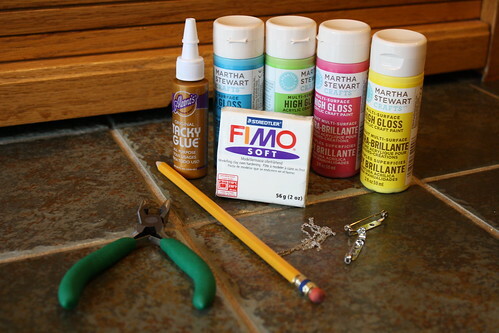 If you use a high gloss or enamel acrylic paint, it will give the pins a nice finished look. Let the balloon pins dry, and then you have a fun accessory for your outfit during the Kentucky Derby Festival! Why not wear it to the chow wagon or the Steamboat race? It's officially Derby week! The Kentucky Derby is a big deal for the city of Louisville--not just the race, but the whole Kentucky Derby Festival. Since the kick off of the KY Derby Festival with Thunder Over Louisville, there have been some events but this is the final week, packed full of activities until the first Saturday in May, when we will celebrate the Kentucky Derby with the 139th "Run for the Roses." As a lifelong Louisvillian, I believe that this week is one of the best times to be in the city. It comes alive. 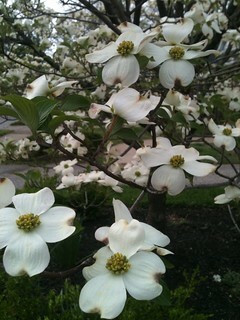 The gorgeous plants and flowers are blooming for Spring and there is so much to do, and so much to see! 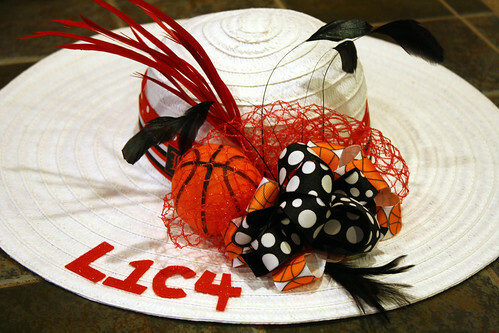 To celebrate, I have decided to share a KY Derby craft project every day this week! You can get started early by checking out the plastic egg jockey craft or Derby Hat tutorials (video 1 and video 2), but be sure to come back each day this week for a fun new project! 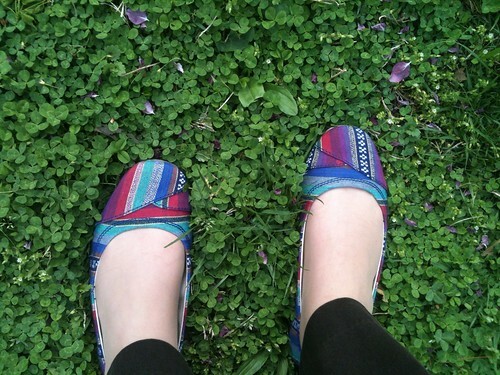 I hope you were able to enjoy some green grass, or pretty flowers, or warm sunshine like I was today. It was a beautiful day in the Derby city! 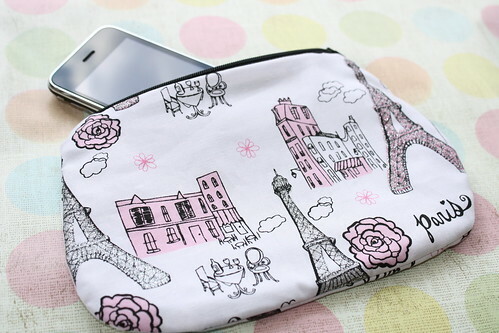 Zipper Pouches in the Craft E Magee Etsy Shop! 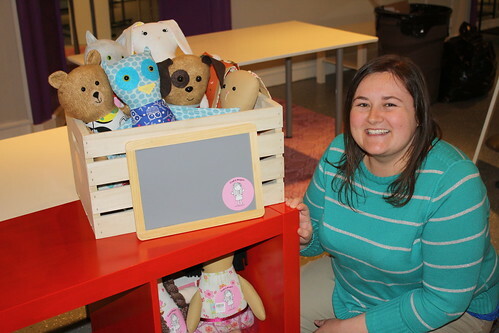 Now that my dolls are for sale in the Block Party Handmade Boutique in downtown Louisville, my online shop was looking a little lonely. I've decided to fix that! I've listed several of these sweet zipper pouches for sale in my shop, so head on over to the Craft E Magee etsy shop and check it out! It's that time of year... Derby time! This Saturday, Thunder Over Louisville will kick off the Kentucky Derby Festival season: two weeks of activities around Louisville culminating in the Kentucky Derby on the first Saturday in May. So what do you need to make for Derby this year? 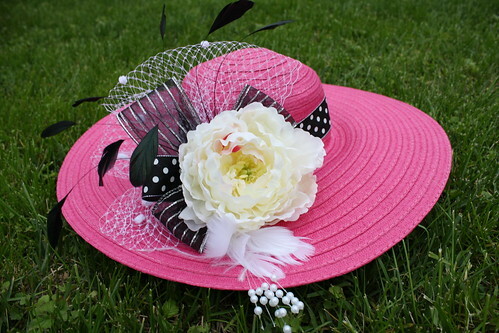 How about a Derby hat that cost less than $25! I created a video tutorial for the Derby hat last year. With a few supplies and hot glue, this project is a cinch! We did win the 2013 NCAA basketball tournament after all! I have had the opportunity to throw a few parties in my time, including some of my nephew's birthday parties and a fun boy's baby shower last year. 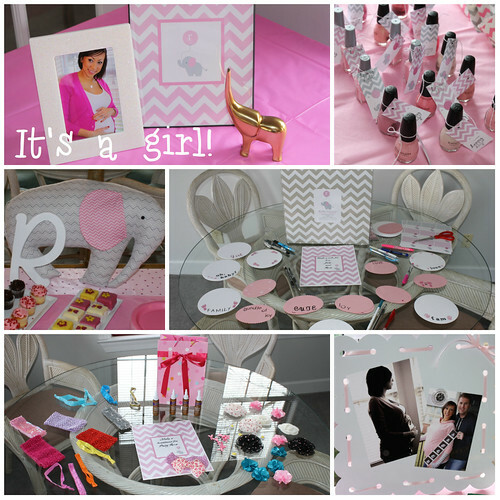 Boy parties are great, but when I was able to throw a little girl's baby shower recently, I went pretty & pink crazy! 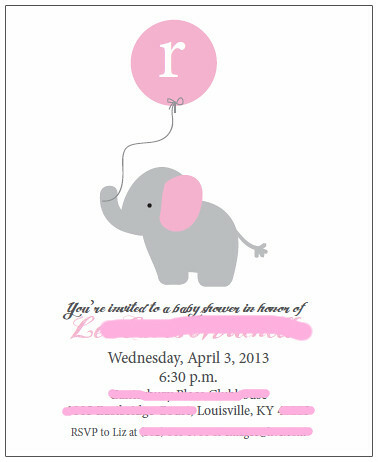 My cousin is expecting her first child, and since she is decorating her little one's nursery in pink and gray, I chose those colors as the theme for the party, adding chevrons and elephants to go with the color scheme. We had a lot of fun with pink polish as party favors, a headband crafting station, and a note-writing table to create a scrapbook for the parents to-be. Of course, I had to decorate the party with some maternity photos that I took of my cousin and her husband. 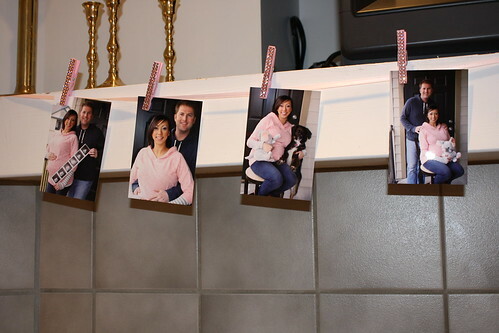 I put somed framed photos on tables around the party, but I also hung some on ribbon with sparkly pink clothespins. It was a fun time and I enjoyed getting to use all the pink! Getting Down and Derby on TV! I hope that you enjoyed my egg jockey craft for the Kentucky Derby on WDRB in the Morning on Wednesday. Here's the video in case you missed it! What do you think of Sterling's jockey? I always have a lot of fun on the show, and I hope you enjoy my segments! 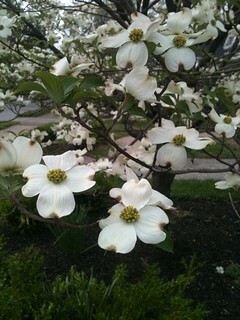 It's getting to be Spring, and what does that mean for Louisvillians? The Kentucky Derby is right around the corner! 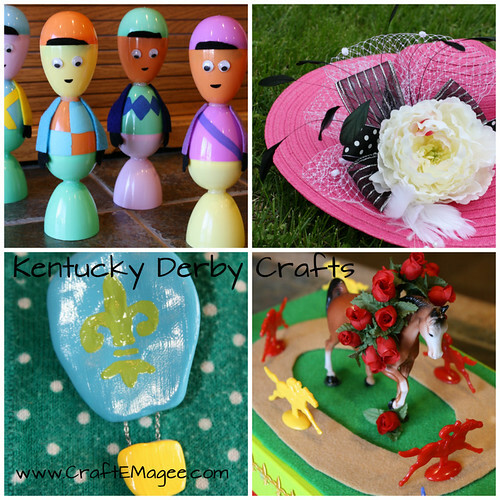 If you are looking for a fun and easy KY Derby craft, look no further. 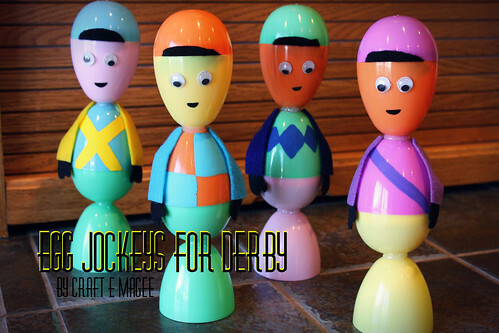 I made these plastic egg jockeys a few years ago and shared the instructions on the blog. It is a great craft for the kids and they make perfect decorations for your Derby party. They are also a clever way to recycle plastic eggs from Easter! If you make these jockeys, feel free to share photos on my Facebook page. If you are local, be sure to catch me making these on TV on WDRB in the Morning on Wednesday, April 3. 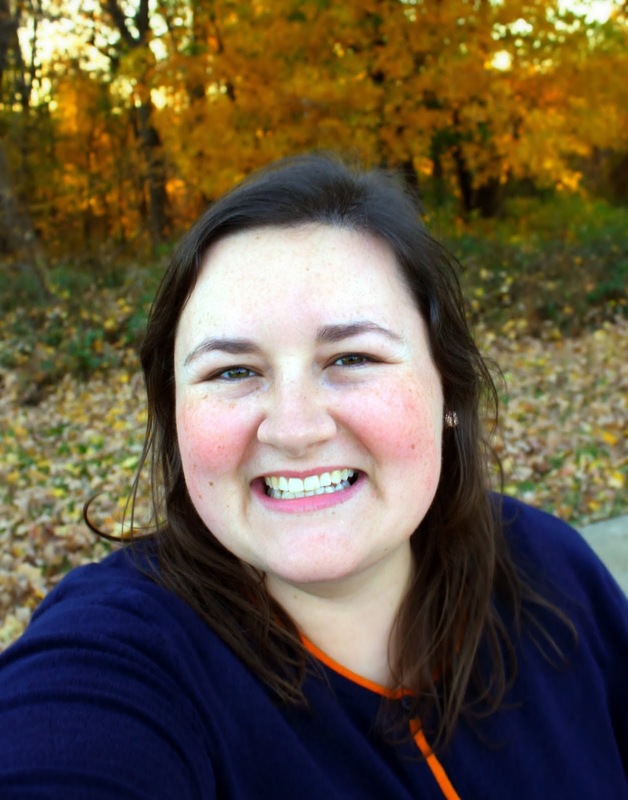 Block Party Handmade Boutique: Opening April 5! There is a great new store opening this month in Louisville! 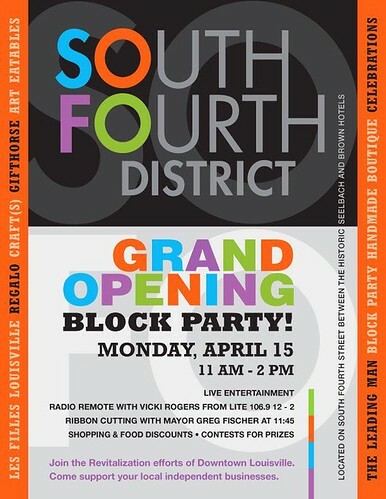 Block Party Handmade Boutique is opening at 560 South Fourth Street this Friday, April 5. 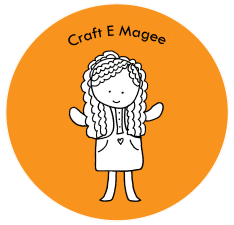 I'm so excited to have a space to sell my handmade dolls at this shop. There are so many cool artists that are going to be selling handmade wares, from hand-crafted jewelry, to original paintings, to housewares, to stationary, to children's clothing. There really will be something for everyone and I think it will become the city's favorite gift shop! 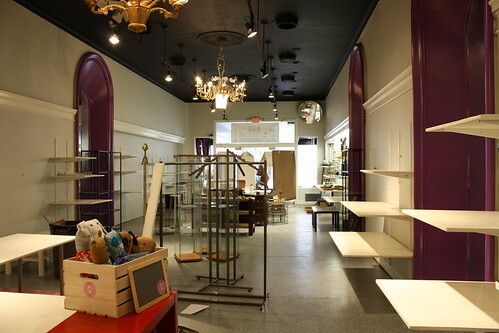 I really love what Mary, the owner of Block Party Handmade Boutique, has done with the shop space. She did a total makeover on the space, keeping the original chandeliers, and accenting alcoves in the walls with lush purple paint. I was one of the first artists to set up my space last week and I was so excited to see it! I hope you will visit this shop and support fabulous local artists in Louisville! 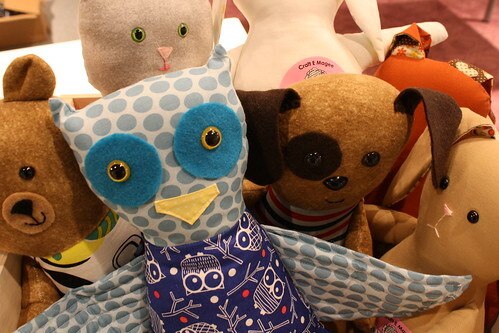 Say hello to my little plush friends when you visit, or maybe even take one home!